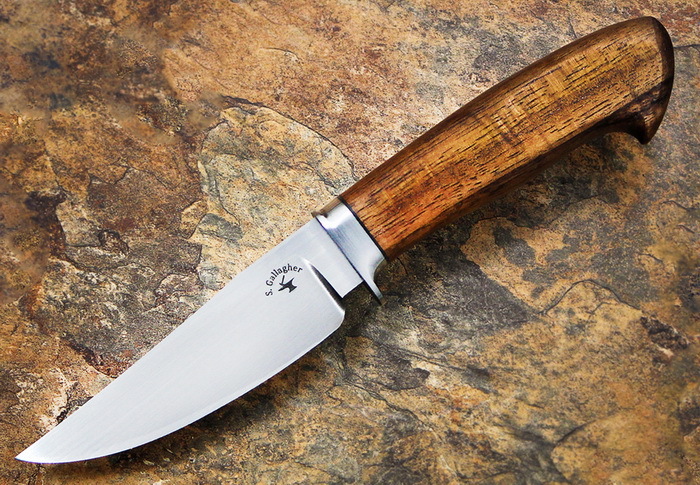 **** Chosen by Winner: John B.
ABS Journeyman Smith Scott Gallagher has crafted a 4-inch clip point Hunter of 1084 high carbon steel, 8.5 inches overall. The handle is beautifully figured KOA with a stainless and copper guard. A Rowe's Leather tooled leather sheath is included.